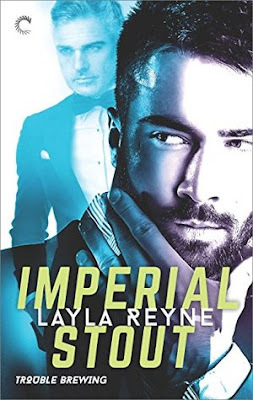 Yay...I'm so, so happy that Layla Reyne decided to do a spinoff series for Cam and Nic after the glimpses of them in the Whiskey & Irish series. Their book did not disappoint. This book was excellent. Like all the books in both series, this book is non-stop action from start to finish. In the midst of all that chaos, Nic and Cam are slowly building up this thing between the two of them. That's something that's not easy when they are in the midst of very dangerous, high stress situations. But I do like the two of them so much. There are things happening behind the scenes with both of them that they don't necessarily want to reveal. But I liked that when things got intense, they did not hide those secrets from one another. They're honest with each other, even when that honesty hurts. There were also glimpses of the other couples from the Whiskey & Irish series and I really enjoyed that. I also really like the brewery to add a bit of ambience to the setting and the relationship. That was a neat little detail that made for some really fun lines that simply melted my heart. These books are so good. From the moment I started reading, I literally did not put it down. I had other things to do today, but this story stole my heart and attention and I couldn't pull myself from it. I love these guys and I'm so looking forward to more of Nic and Cam.